Risk and reward. The river on the left must be avoided. 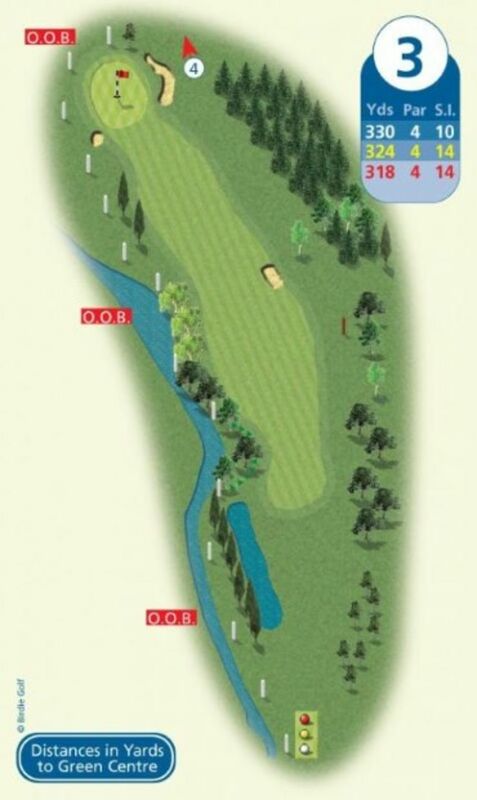 This short par 4 may tempt the llonger hitter although the fairway narrows the closer to the green. The sensible play is a fairway wood or long iron from th te, eaving a short iron approach.